Lady Agatha's advertisement looking for a decorator in the paper stirs Huxley's imagination. 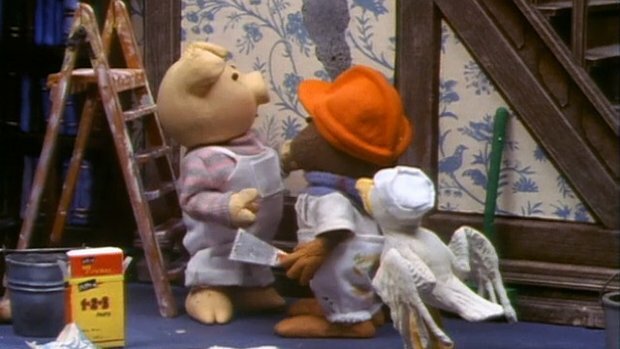 Huxley Pig and Sam Seagull, Painters and Decorators, arrive at the Manor and meet Vile Vincent and Lady Agatha who tells them her chauffeur will supervise the work. The chauffeur turns out to be Horace who gets himself stuck in the paste bucket, stuck to the wall and throws a bucket of paint over Lady Agatha in his efforts to discredit Huxley.